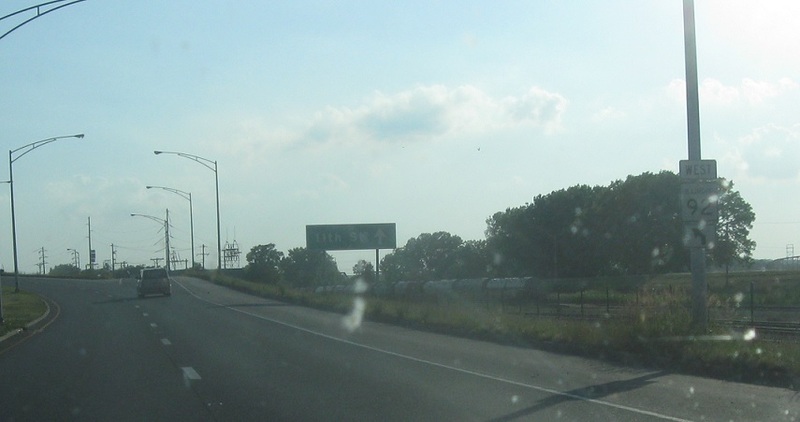 After US-67, keep left to stay on Route 92 as the road transitions to an expressway. 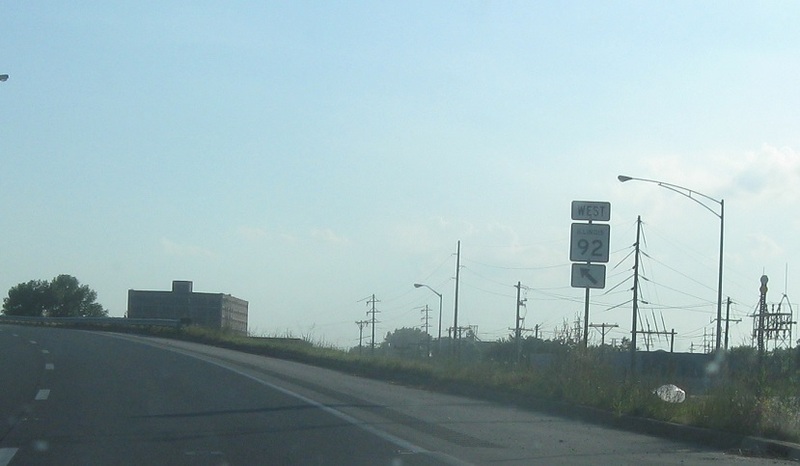 Keep left for 92 at the 11th St exit. 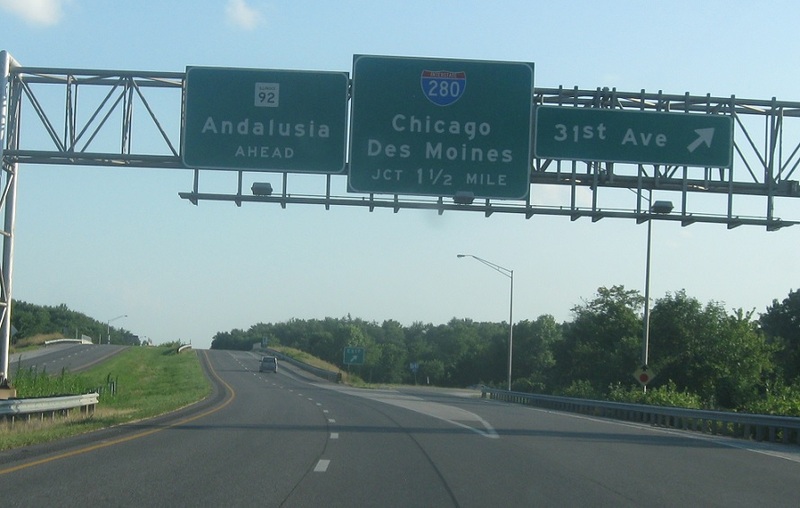 At the 31st Avenue junction, we’re 1.5 miles from Interstate 280. Reassurance shield after 31st Ave as we cross the Rock River out of the incorporated Quad Cities. 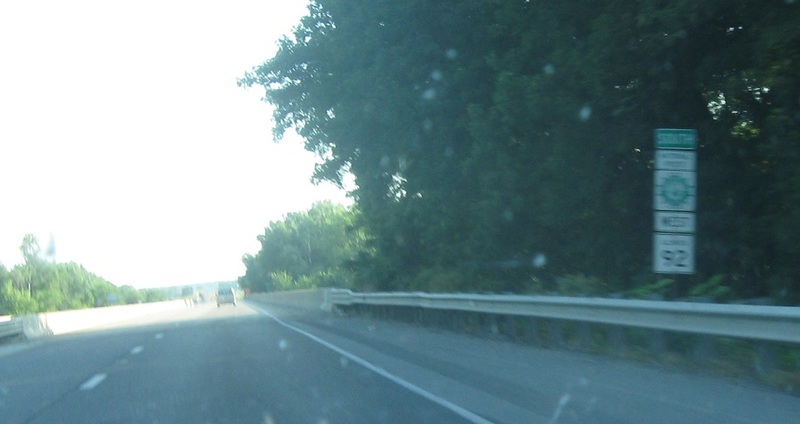 After crossing the bridge, we’re 3/4 of a mile from Interstate 280. 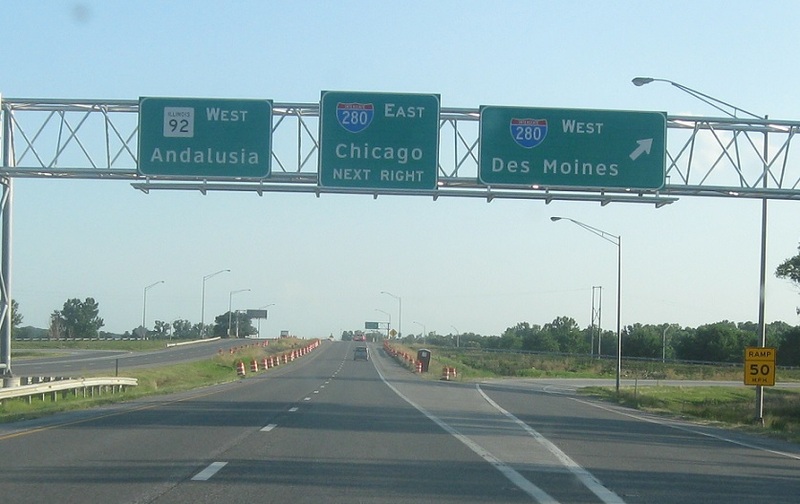 Exit for 280 west towards Des Moines, Iowa. 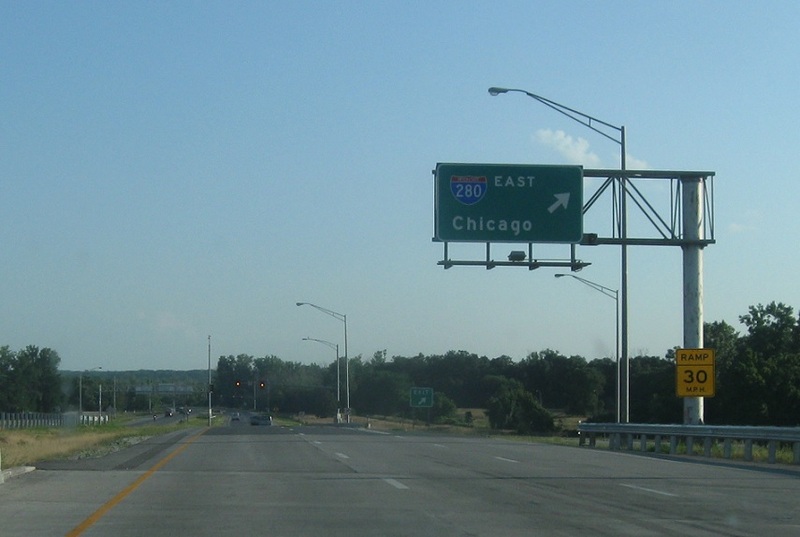 Follow 280 east to I-80 and Chicago.